The question is: what is bitterness?, am i bitter? what has bitterness caused me? what do i do ? 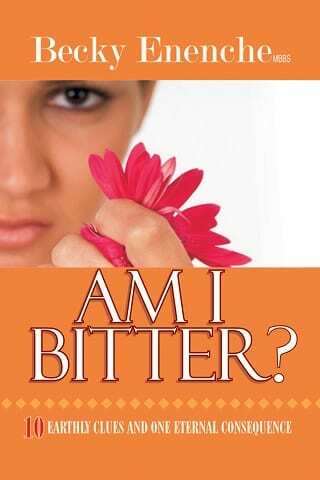 In this insightful book, Dr, Becky Enenche reveals to you, the destructive and detrimental tendencies of bitterness and how to live above it. Usually after a quarrel or misunderstanding, apologies are tendered between parties or individuals involved and the issues are settled , or so it seems on the surface but deep inside, the hurt and memory could still be festering and many are unaware that there is any problem. Scenarios in the human race have been characterized by wars and peace talk, yet there is one canker worm that seems to be eating deep into the human race and even into the church without being noticed, a devastator and a swelling pit of Hell called-bitterness.